​​A spiritual meditation retreat and pilgrimage to Bali is an opportunity to experience a culture of great heart and spirituality. 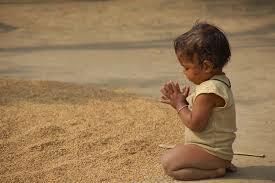 Our intention is to immerse ourselves fully in the sacred, discovering our own sacredness within. The Balinese teach us to offer everything from our heart and receive the flowers of peace from deep inside. This practice is the source of our infinite heart meditation practice that we share with guests today in our retreats in Assisi, Italy and Napa, California. We are practicing calming the mind and entering the treasure of the spiritual heart. Enjoying periods of silence allows us to be present with the many gifts that Bali has to offer. The teachers are always available for questions and retreat direction. Your retreat includes a private session with Ruth to help with meditation practice. We start each day with hatha yoga for those who wish. 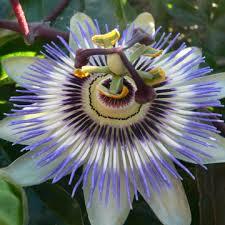 And share meditation based on the balinese prinicipal of offering all the beauty of their heart into each day. We travel to sacred temples & priest/esses. We will visit a local village healer and water temple for these unique blessings here. The Balinese have three principals that they live by; Keep balance between yourself and others, between yourself and nature and between yourself and God. By surrendering and returning to calm everyday, we can soften mental activity. While meditating in the heart, we learn to embrace the love that radiates from within. Life arises out of love and returns to the eternal heart of love. The remote village and retreat center where we stay is surrounded by rice fields with a view to Mt Agung, the holiest mountain in Bali. I want to thank you both for the opportunity to gather in Bali for a heart opening Silent Retreat. The both of you are amazingly generous in heart and in every other way imaginable. I am profoundly grateful for your introduction into the spiritual way of life of the Balinese people. The daily practice during the retreat has given me a deep and profound shift in my relationship to my One God, the One Source. The impulse has remained with me in my daily practice and with the people that I encounter in my daily life. The releasing and opening into Emptiness, the sincere Offerings of my heart, is a way back to peace and harmony with myself and with that I am in peace and harmony with others. I continue to practice this multiple times a day. I keep repeating to everyone who asks about my experience in Bali, the amazing Balinese practice of daily offerings of flowers that I saw everywhere, with the poor and in even in the resorts, the amazing smiles and contentment in the people I met on my solo walks, whom by our standards have very little materially. I now understand in experience what you both meant by, “In the silence, listen and absorb the heart of Bali”. Words cannot express the experience I’ve had. Morning and evening meditation, along with meditative movement or hatha yoga is offered everyday. Afternoons vary between visiting sacred sites, temple ceremonies, and visiting Bali's most respected teachers. Each day includes time to relax in the resort's exquisite gardens of peace. We have exclusive use of this special sanctuary. Welcoming ceremony by village priestess. 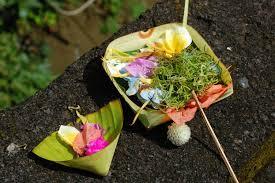 Learn the meditative meaning of the customary Balinese flower prayers. Learn the purpose behind their basket weaving and offering baskets that are included in all temple visits. A visit to sacred waters that emerge naturally from the earth. These waters are considered a blessing of a lifetime. We will visit various high priests and priestesses. Some may include; a private audience and cleansing ceremonies. Statue blessing: This statue will be brought alive by the high priest of our mountain village in a sacred ritual of chants, holy water & flowers. If time allows we will visit the Holy Mother Temple on Mt Agung. 7 nights / 8 days Accommodations - Shared Bungalow Suites. Each suite has a bedroom with two beds, full bathroom, living room and terrace. We will be staying on the eastern side of Bali in a remote village with infinite peace & quiet, far away from large towns or tourist locations. The retreat center is surrounded by rice fields with views of holy Mt Agung. We have the retreat center for exclusive use. All journeys and vehicle transport to sacred places, teachers and the customary offerings that are given to them. Currently there is no Visa or entry fees required for US or European citizens. Stays are up to 30 days. If you are from another country there maybe Visa or entry fees required. ​The retreat facility in a remote village in Bali has limited rooms. During this spiritual pilgrimage we will be learning to live from a life of offering while practicing meditation & the balinese prayer. Anyone wishing to attend the Bali Pilgrimage is welcome to apply. This is a retreat in meditative quiet. We are practicing emptiness, calming the mind and entering the treasure of the spiritual heart. The many gifts of Bali await us here. It is perfect for anyone seeking deeper spiritual meaning in their lives & contemplatives of all traditions. This pilgrimage is a lifetime gift and a unique opportunity to dive into the spiritual heart of the Balinese culture. Please fill out the application form if you would like to attend.